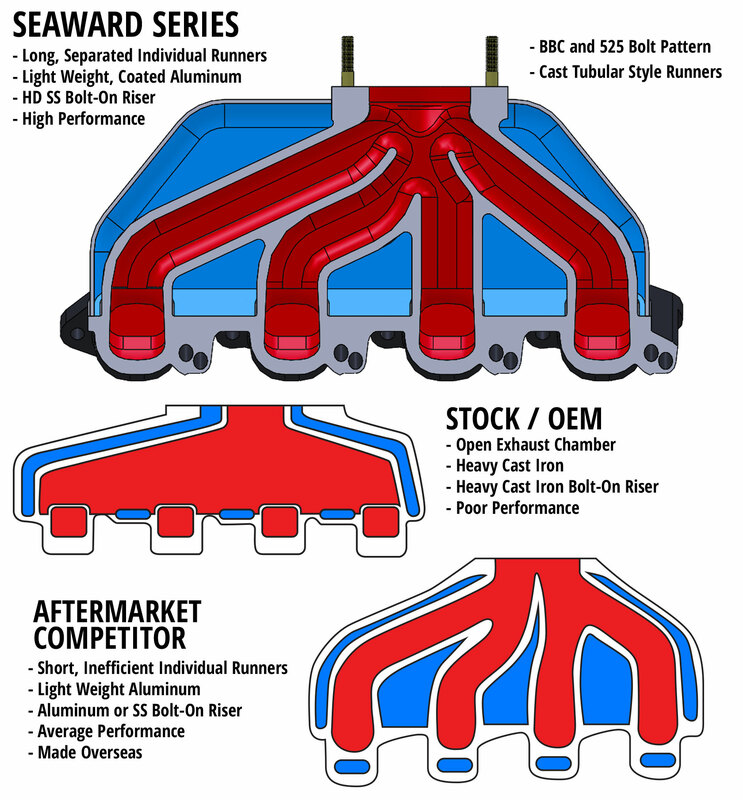 The Seaward Standard system is designed as the ultimate OEM replacement exhaust system in the world today. 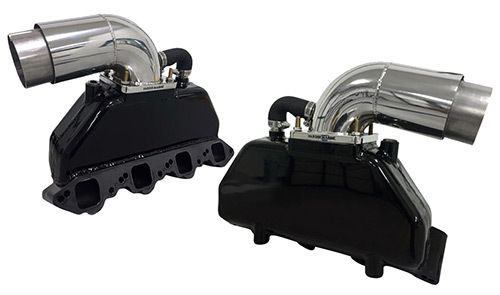 The Standard length riser makes this system perfect for use on OEM engines up to 415HP and will allow easy connection and use of either through hull hose connection or silent choice , captains call, and select sound exhaust diverter systems. The stainless steel tailpipe is manufactured from premium 316l Stainless steel not 304/303 low grade SS many competitors use. these tailpipes feature a 4" O.D and a 3-1/2" I.D. for maximum exhaust flow. More Facts: The optional "Ocean Series", 1000 hour salt spray coating provides extreme corrosion treatment. That's right this industry has never seen these types of processes. These products are extending the naval and aerospace program products as much as ten years. Sure the finish is that of a show piece, but it's truly what you can't see that sets these systems apart. Underneath the thick non-porous billet heat treated aluminum casing lies the most exceptional foundation of corrosion protection found anywhere. A hydrogen infused zinc process is applied to each manifold. Until now salt spray testing could merely only withstand 100-150 hours of sustained exposure, Today those numbers are 1000 hours of durability. Fits: Standard Bravo and Silent Choice Applications up to 415 HP. All Seaward manifolds come powdercoated for corrosion protection standard. With this option, an additional hydrogen infused zinc process is applied to each manifold for over 1000 hours of durability.